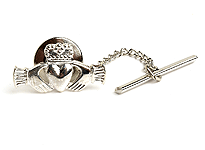 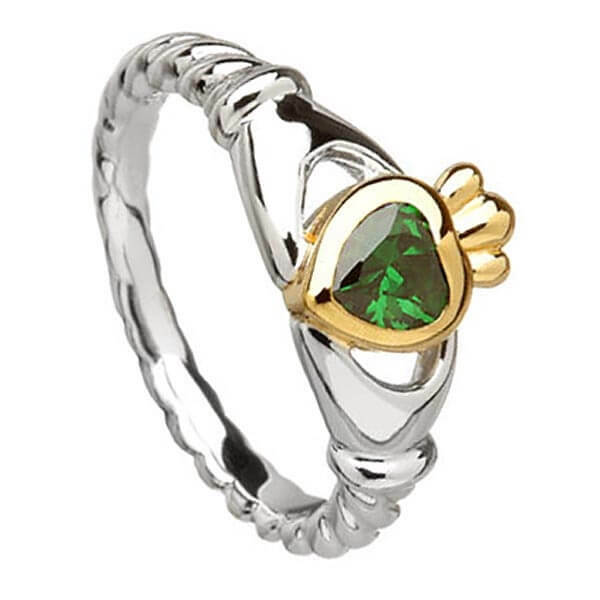 Inspired by the New York Chrysler building, this Claddagh ring is exceptional in design. 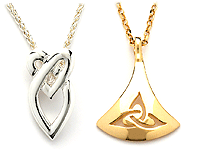 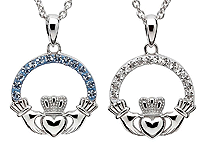 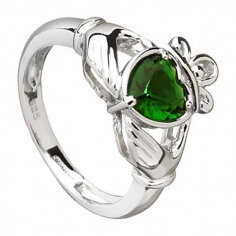 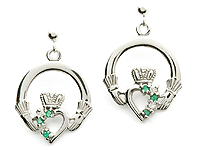 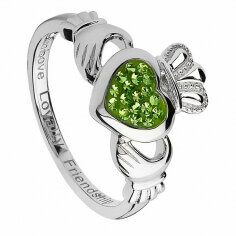 Crafted from Sterling silver, it has a 10k gold heart center which holds an emerald green stone. 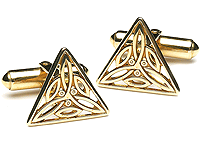 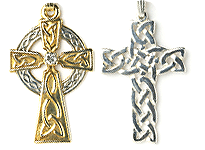 The Trinity knot appears on each cuff.